This is one of my own quilts but I’m pretty happy with the quilting so thought I’d show you. 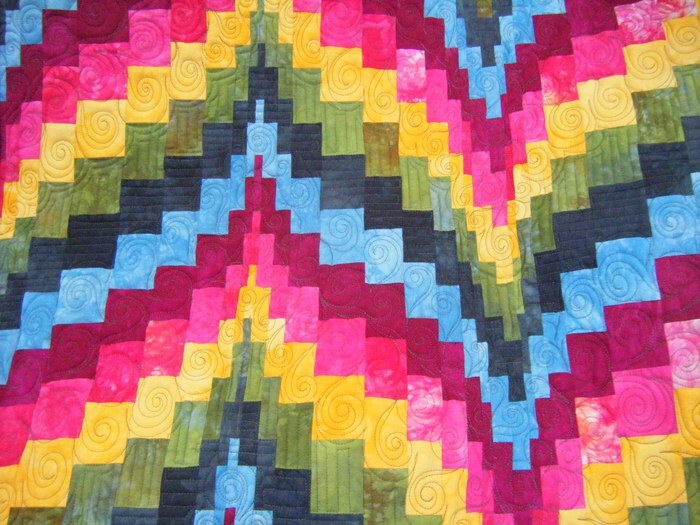 I’ll be teaching a version of this quilt in June at my local guild if you are interested. It is 33″ x 46″. I used all my own hand-dyed fabrics for this. It is very bright, but I’m loving it! 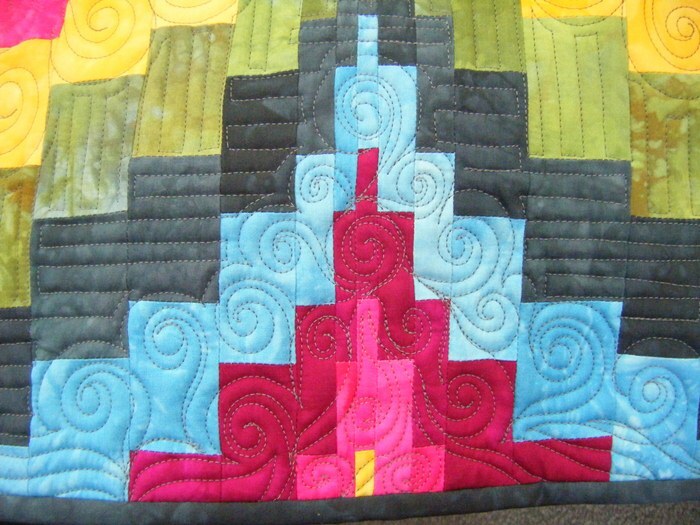 Here is the back since many have been interested in that view as well with this quilt. I sewed my label on before quilting this time. I used a double layer of batting; Hobbs 80/20 on the bottom and Hobbs Wool on the top. 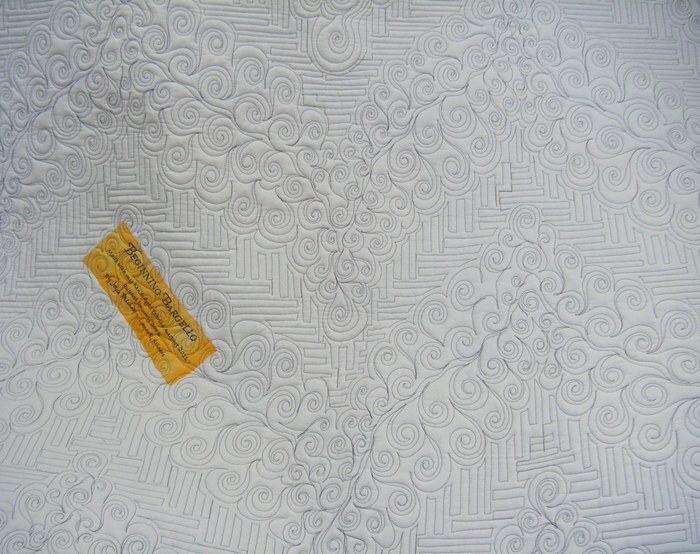 It added some additional dimension to the unquilted areas but I also think it is too heavily quilted to really see the benefit this time. 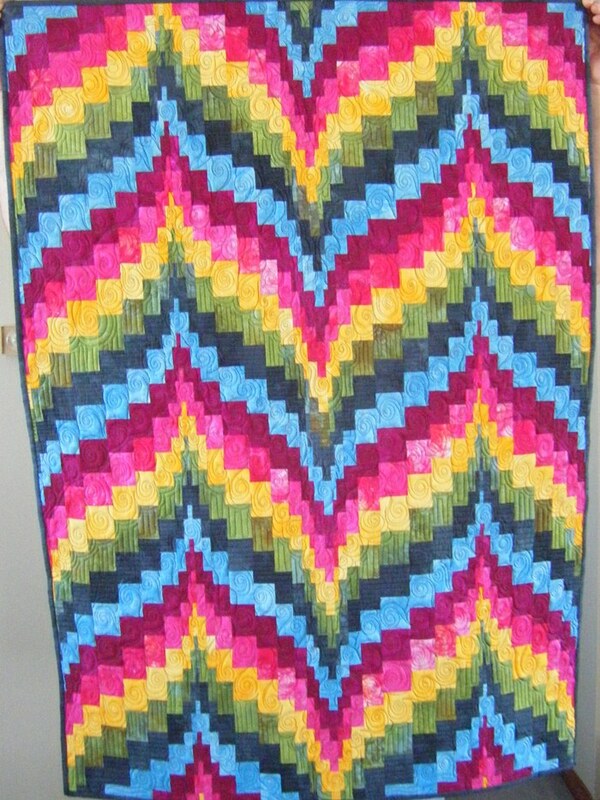 This quilt will head to our daughter’s once I’m done with my workshop in June.